Like most European capitals, Lisbon, Portugal is hard to do justice to in a single day. If you’re doing a Eurotrip you’ll probably want to set aside at least two days for this and other capitals in order to do them justice. But here you’ll find a beautiful city with plenty of outdoor attractions and sightseeing options that make you feel connected to the surrounding area. I’ll also throw in one or two more leisurely attractions, because it’s always nice to cool off and relax at the end of a day of exploring. But here are some of the things I’d recommend for a few days in the Portuguese capital. Here’s what to do, what to see, and what to eat in Lisbon. I’ll get the most obvious Lisbon landmark out of the way early. This is a castle that proudly stands on a hill over the city, and it’s fascinating in all the right ways. It’s an amazing structure just to look at and walk through. 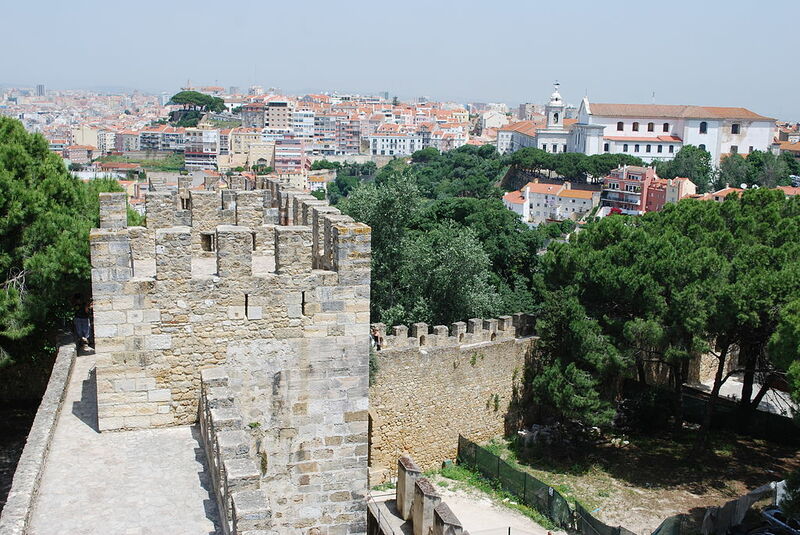 It’s also a perfect place for a view of Lisbon sprawling out below you. and it’s packed with interesting history, which you can learn about on a tour or by browsing the museum that’s within the castle. If the history of the place grabs your attention, you should probably know that parts of it date back to the 6th century, and it’s been through periods of Roman, Moorish, and Portuguese control over the years. My personal favorite landmark in Lisbon, if not all of Portugal (and maybe Spain too), Belém Tower just looks unique. Technically it was once a fortress, built in the 16th century—and unlike a lot of ancient fortresses you find around Europe, it looks like it could still hold its own! It’s also an astounding landmark, built with limestone and set against the Tagus River. It’s been designated as a UNESCO World Heritage Site for many years now, and with good reason. This is a simple little tip, but I’m throwing it in here because it’s a great way to see more of the city in a limited time. 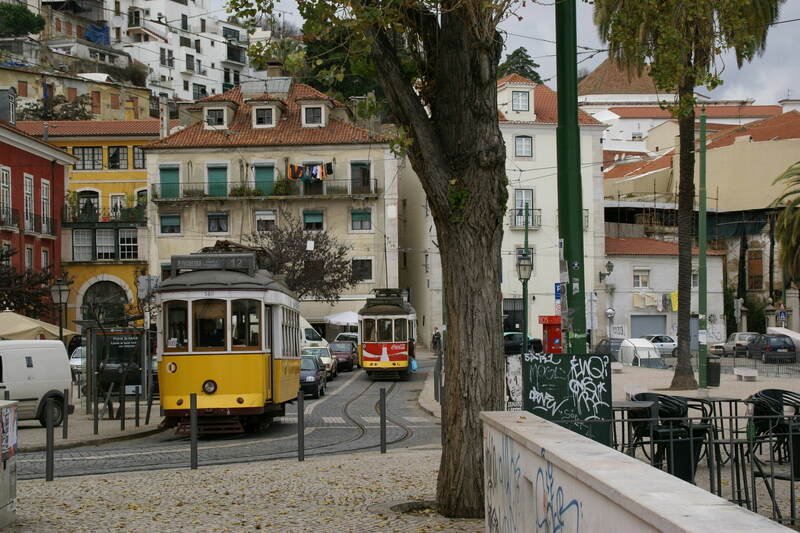 Trams are the primary mode of public transportation in Lisbon. Traditionally red or yellow, they stand out as you wander around, and you can ride one throughout different parts of the city just for the experience. Tram 28 in particular tends to be singled out by tourists. It’s hard to overstate the pure beauty of this monastery (which incidentally is another UNESCO World Heritage Site). 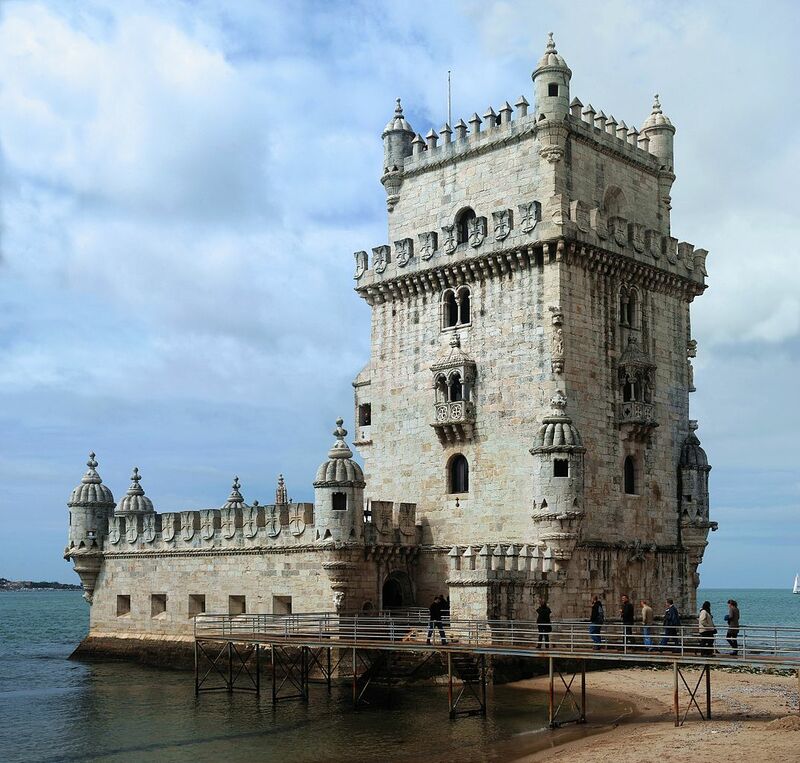 It’s built in the ornamental, extravagant Manueline style (as are many structures in Portugal), and was originally meant as a sort of celebration or tribute to Vasco Da Gama, one of the country’s most famous explorers. These days you’re free to tour it on your own, and you’ll find all kinds of impressive, rampart-like structures, gorgeous interiors, and park-style courtyards. The place is like a combination of London’s Houses of Parliament, Oxford, and Westminster Abbey, with some Manueline embellishments across the board—or at least that’s how I think of it! I said we’d also get into some more relaxing attractions, and this is one to keep in mind. If you’re a fan of casino games you’re probably used to seeing them online by now. New games and releases are easy to track, sites are always improving, and the convenience is unparalleled. But if you’re looking for a way to unwind after a long day of touring, Casino Lisboa is a wonderful in-person casino. Built in 2006, it retains a decidedly modern appeal, looking more like a state of the art performance center than anything else from the outside. Inside, you’ll find an auditorium, several restaurants, and enough gaming tables to keep you entertained all evening. I have to point out a restaurant, and this might be the best place in the city for vegans. The menu isn’t entirely vegan, mind you, but if this is how you eat you’ll have plenty of options. It’s a delicious menu, heavy on natural ingredients, and its location makes for a great way to dine in a city you’re exploring. Outdoor seating in a little stone courtyard lends it an authentic air, and particularly on a nice evening it’s a very comfortable place to eat. That about does it! We’ve covered some sights and attractions, a few places to relax at the end of a long day, and generally a nice range of things to do in Lisbon for a few days. It’s truly a wonderful city to visit, and one that should be on more people’s lists. This entry was posted in Sponsored Post on August 8, 2017 by Amélie.